This topic contains 9 replies, has 2 voices, and was last updated by Nizam Uddin 4 years, 12 months ago. When deleting messages on the frontend, it jumps to the project manager page in admin dashboard after deleting instead of remaining in frontend. We already fixed it. Please wait for upcoming update. Thank you..
With the new version, it does not jump to backend admin anymore but upon deletion, it shows a blank white page with “0” (no wp theme displayed or dashboard bar). Can you please provide us a screenshot? Thank you. Any problem in backend or default wordpress theme? In backend, messages delete fine. Even in frontend, if you go back to the message list and refresh, the said message gets deleted as well. Just that the redirect after deletion points to a completely empty page that shows “0” only. Even in source html, it does not show any tags but only “0”. Please send your site access as private reply i will forward it to development team. Thank you.. I replied with details but I think the forum is marking my private replies as spam again as it happened before. I talked with Tareq about this. Actually its happening due to conflicting with other plugins/scripts. 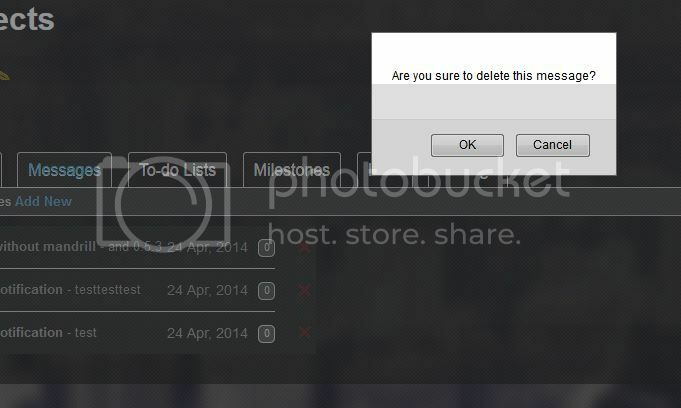 You can check it by own-self by deactivating plugins one by one. Thank you. The topic ‘[Bug] Deleting messages on frontend jumps to admin’ is closed to new replies.